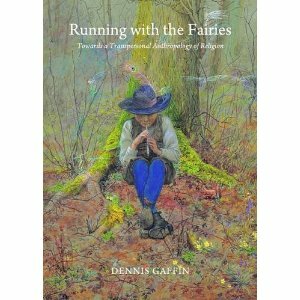 Running with the Fairies: Towards a Transpersonal Anthropology of Religion is a unique account of the living spirituality and mysticism of fairyfolk in Ireland. Fairyfolk are fairyminded people who have had direct experiences with the divine energy and appearance of fairies, and fairypeople, who additionally know that they have been reincarnated from the Fairy Realm. While fairies have been folklore, superstition, or fantasy for most children and adults, now for the first time in a scholarly work, highly educated persons speak frankly about their religious/spiritual experiences, journeys, and transformations in connection with these angel-like spirit beings. Set in academic and popular historical perspectives, this first scholarly account of the Fairy Faith for over a hundred years, since believer Evans-Wentz’s 1911 published doctoral dissertation The Fairy-Faith in Celtic Countries, integrates a participatory, going native anthropology with transpersonal psychology. Providing extensive verbatim interviews and discussions, this path-breaking work recognizes the reality of nature spirit beings in a Western context. Through intensive on-site fieldwork, the PhD cultural anthropologist author discovers, describes and interviews authentic mystics aligned with these intermediary deific beings. With an extensive introduction placing fairies in the context of the anthropology of religion, animism, mysticism, and consciousness, this daring ethnography considers notions of belief , perception , and spiritual experience , and with intricate detail extends the focus of anthropological research on spirit beings which previously have been considered as locally real only in indigenous and Eastern cultures. The book is published by Cambridge Scholars Publishing (2012) in hard cover with 295 pages. Dennis Gaffin, PhD, is a Professor of Anthropology at the State University of New York College at Buffalo. Gaffin s earlier fieldwork was on the Faeroe Islands. In recent years he has traveled and conducted research primarily in Ireland and India. He teaches comparative religion, cultural ecology, and medical anthropology. In addition to the ethnography In Place: Spatial and Social Order in a Faeroe Islands Community, he has published articles in academic and popular journals.